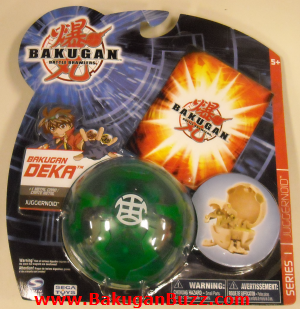 The Bakugan Dekas are large versions of the bakugan marbles. 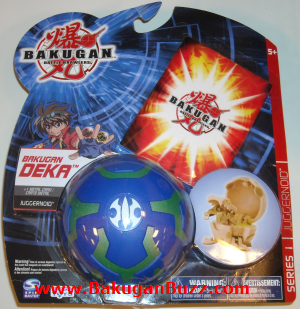 The dekas are 3.25" in size which is about the size of a softball. 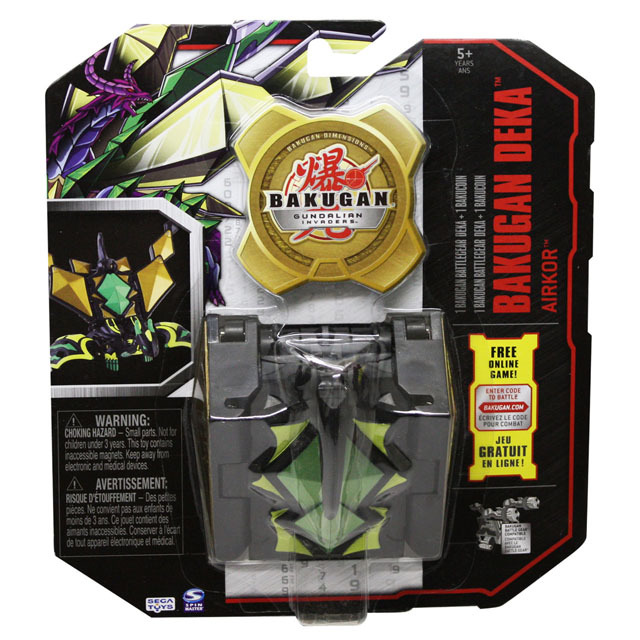 The package also includes one metal Gate card. 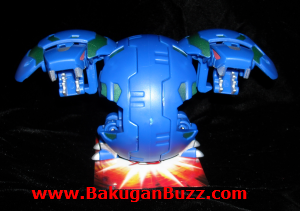 So far i have seen them in just a few bakugan types... Dragonoid, Juggernoid, Hydranoid, Saurus, Fear Ripper, Tigrerra, Skyress and Preyas. 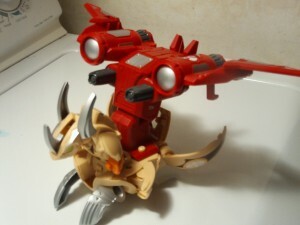 In addition they can come in any attributes/colors as well as translucent versions and pearl white versions. 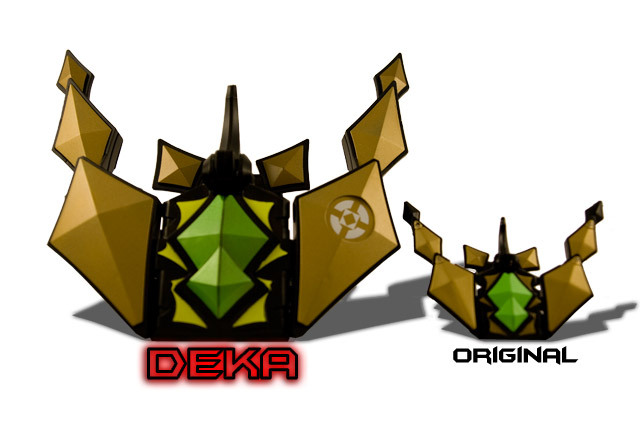 Due to there large size, they are not suitable for gameplay. 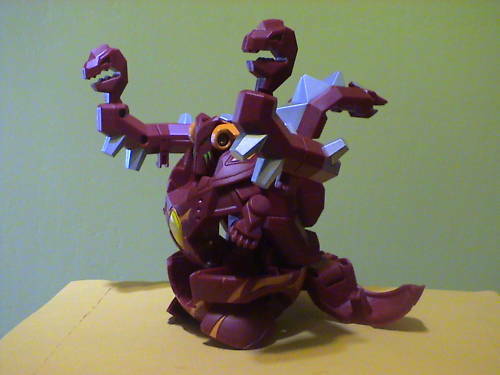 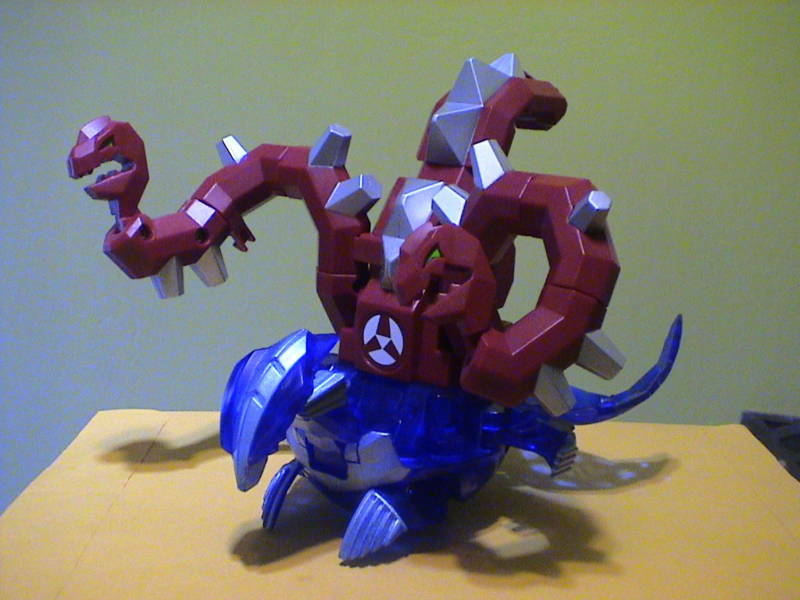 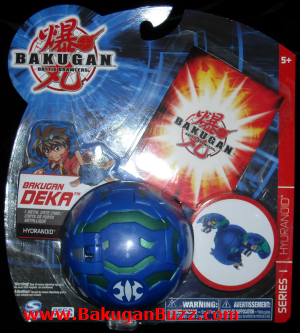 July-August 2010: The newest season also brought the Gundalian Invaders Deka Bakugan. 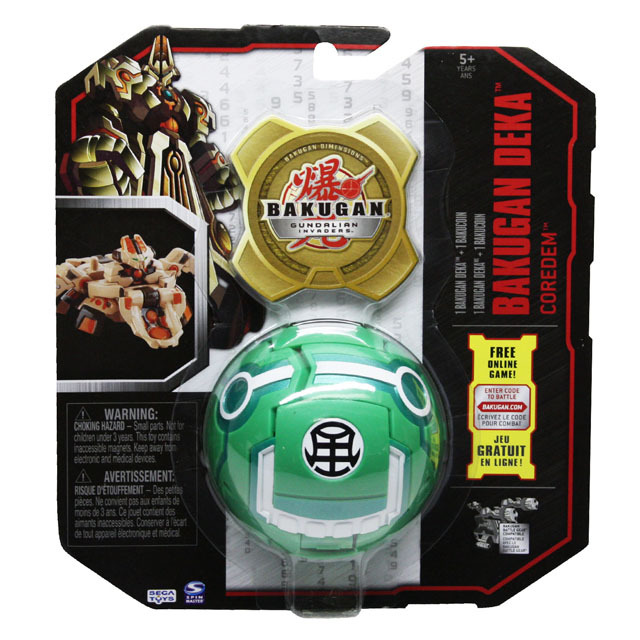 And it's not just the Bakugan that is getting super-sized. 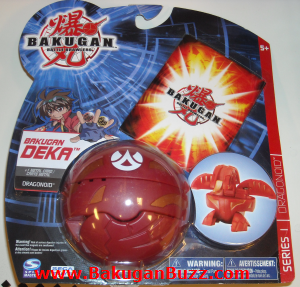 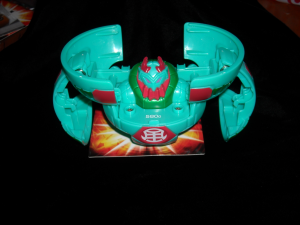 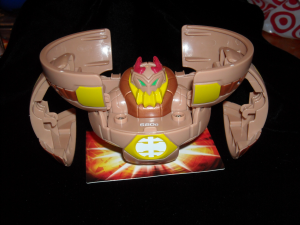 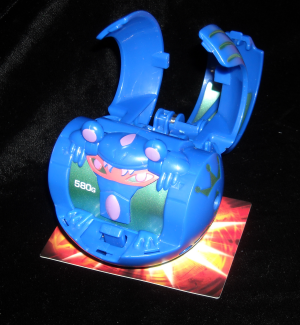 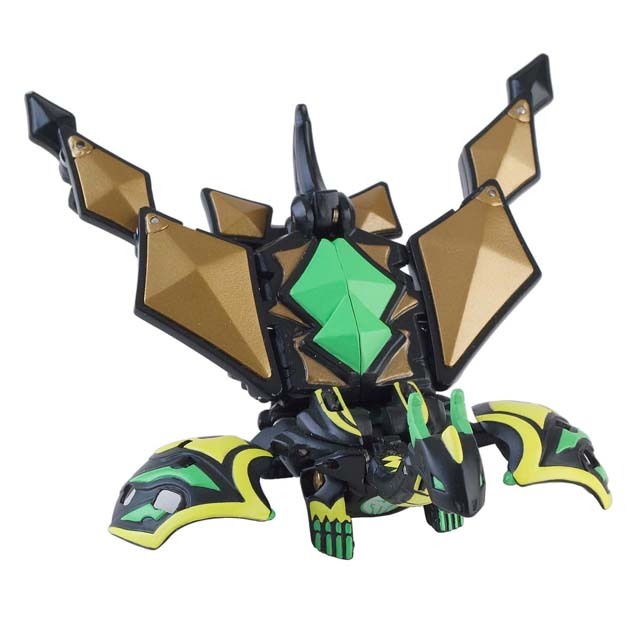 There is also the Deka Bakugan Battle Gear which can be geared up on a Deka Bakugan!